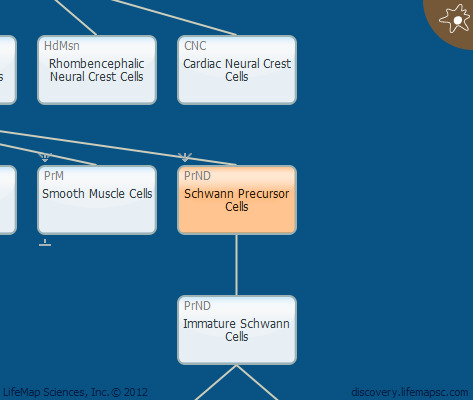 Schwann precursor cells (SPCs) are the stage between neural crest stem cells and Schwann cells. SPCs migrate with axons and provide essential trophic support to embryonic sensory and motor neurons. In addition, SPCs are essential for normal nerve fasciculation. A small fibroblast population found in the peripheral nerves is thought to develop from SPCs.